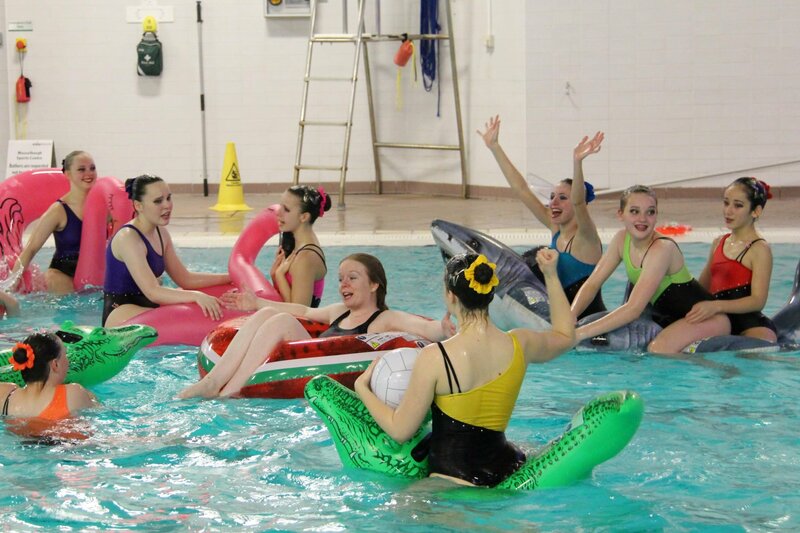 Our 13-15 team put together an eight minute show for the At Your Leisure end of festival pool party. They worked hard developing the routine and organising the party. It was a great event. The pool was lit with underwater lights and disco uplighters for the display – a bit of a change from a competition! A video of the whole routine is on our youtube page here. Congratulations to the At Your Leisure team for a great festival celebrating the boundary of sport and dance. What better way to end it than with synchro! Following the display, the festival had a pool party for participants and guests. Here is Tony, the festival organiser, trying out his synchro skills! And even Sarah, the 13-15 coach, joined in!